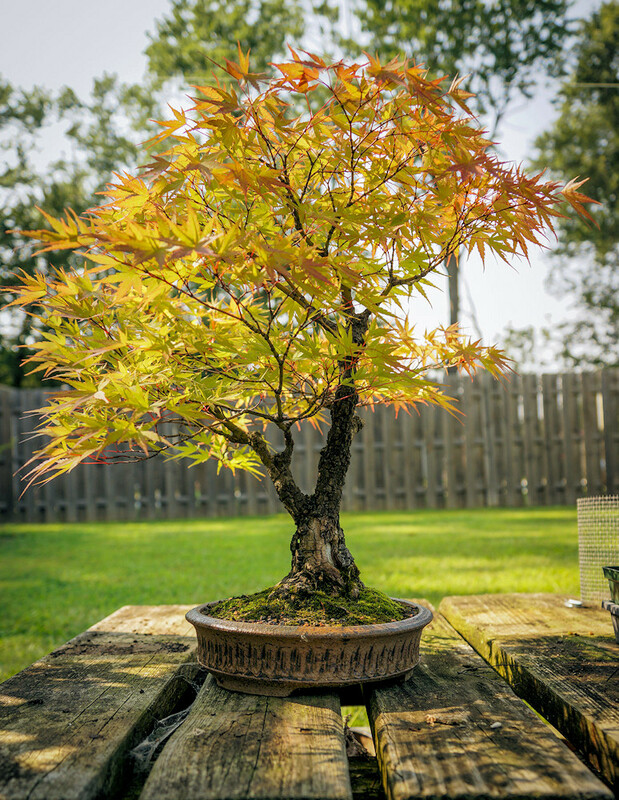 Bonsai trees come in many different sizes, styles and types but one thing that is common to a refined bonsai is the appearance of age. 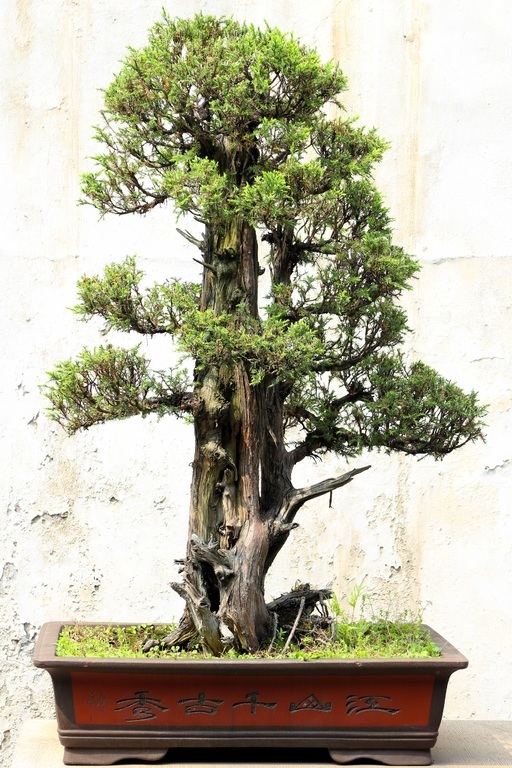 A bonsai should appear to be much older than it actually is (in general, some bonsai truly are hundreds of years old!). 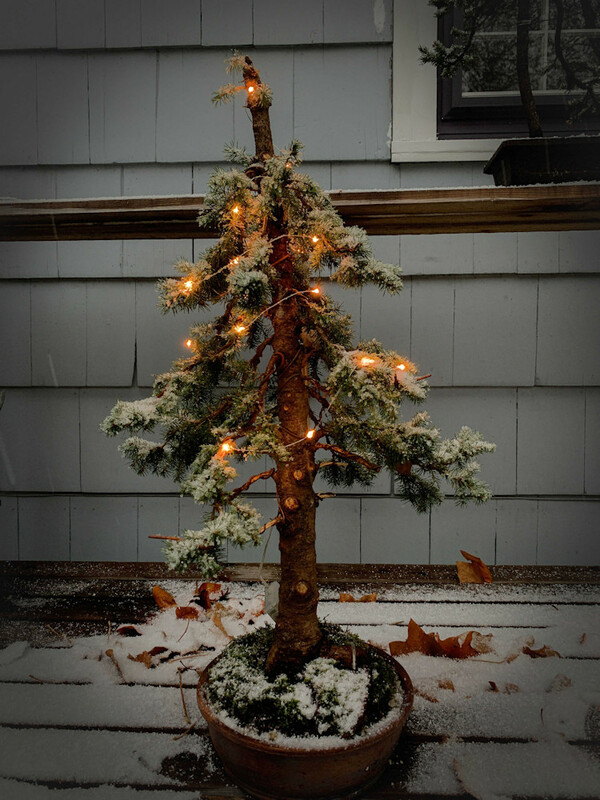 A very old pine tree that finally succumbed to the elements. 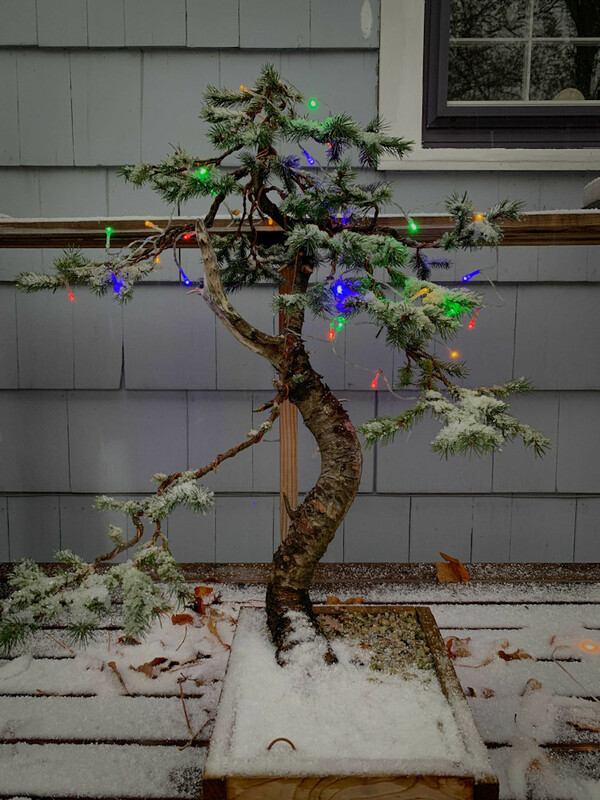 It would have made an excellent yamadori bonsai! 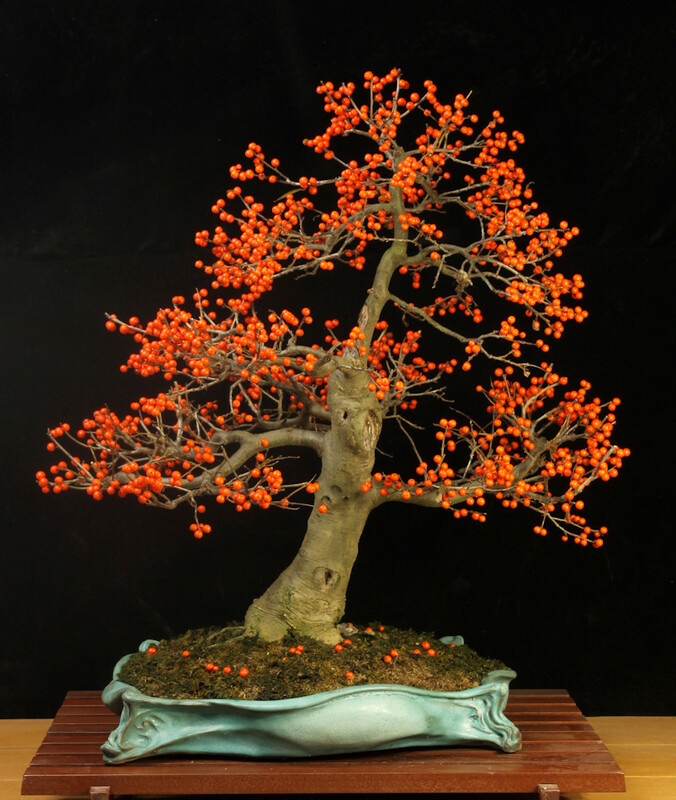 It is often said that a bonsai is the artist’s interpretation or impression of a tree. 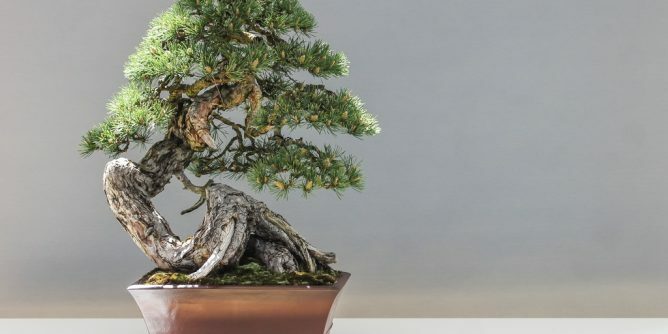 While some bonsai are replicas of full grown trees in their glory that have been rendered in miniature, there are also many that are made to look like an ancient tree that was kept small by nature and the elements. 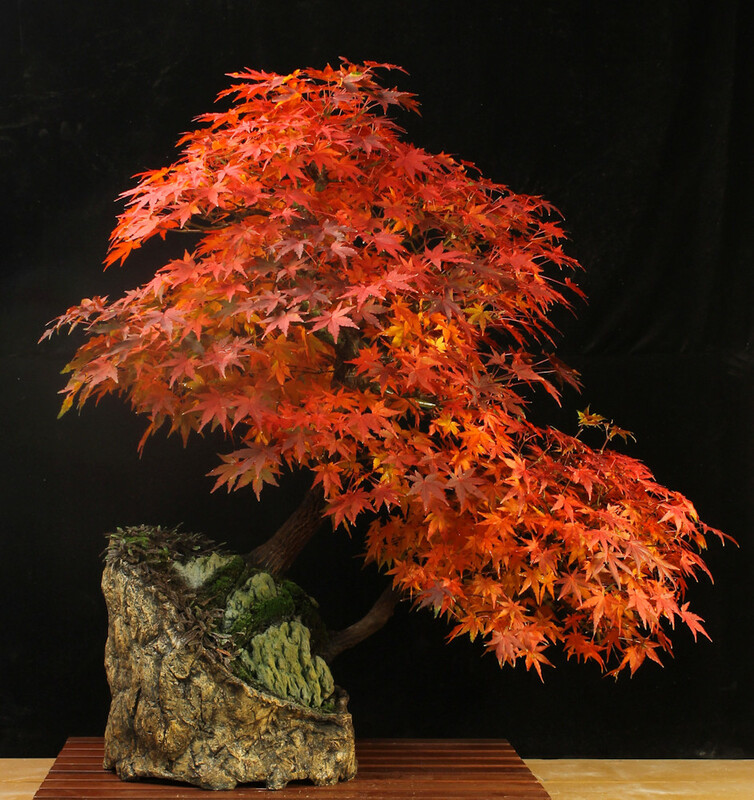 Those natural trees are the true inspiration behind the bonsai art, originally found in harsh mountainous environments. 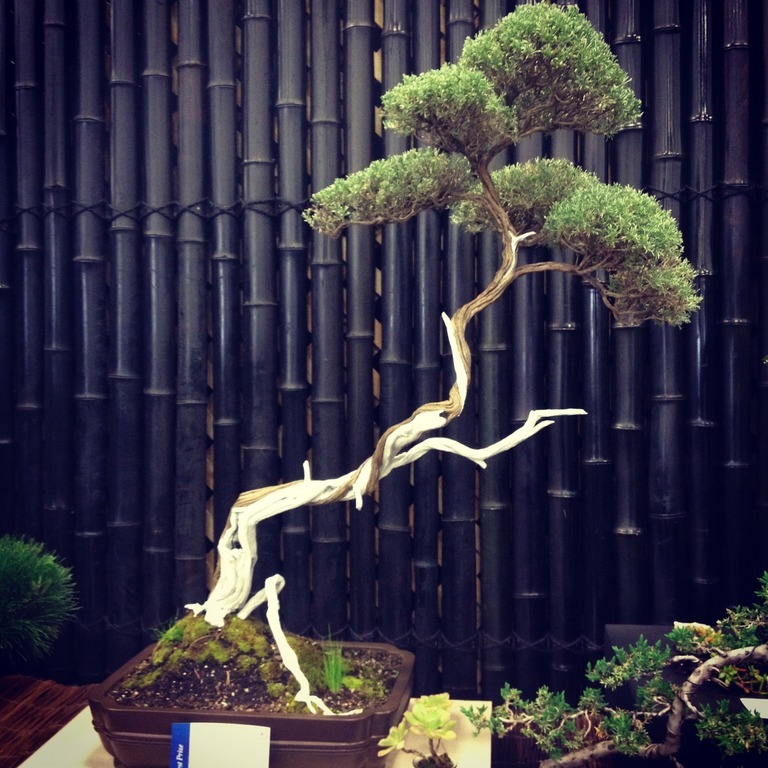 Trees that are naturally stunted in this way can be worth tens of thousands of dollars and are known as yamadori. 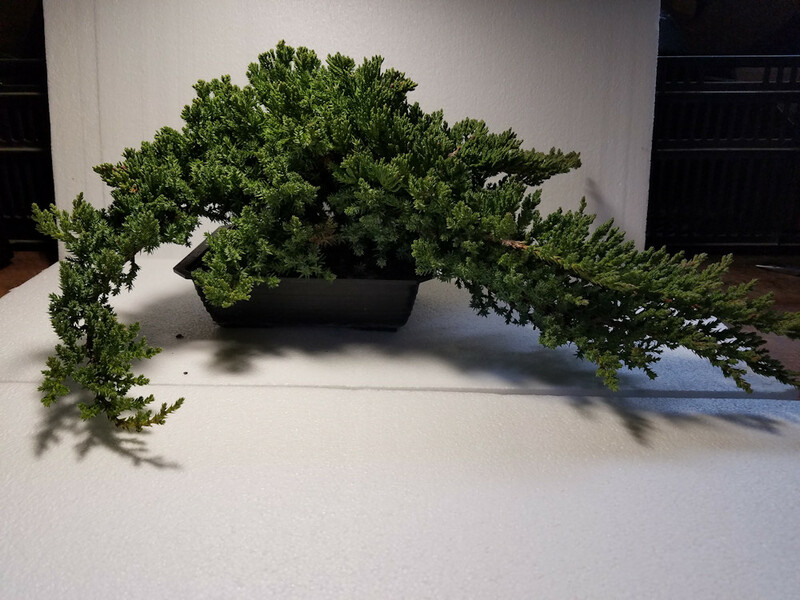 To me, some of the best bonsai are recreations of these unique trees found in nature and should be able to tell a story of how they ended up in such a form (rather than simply be bent into a S shape like so many mass-produced “bonsai” you might find at a box store). I like to look at these twisted form and imagine how they might have ended up that way. 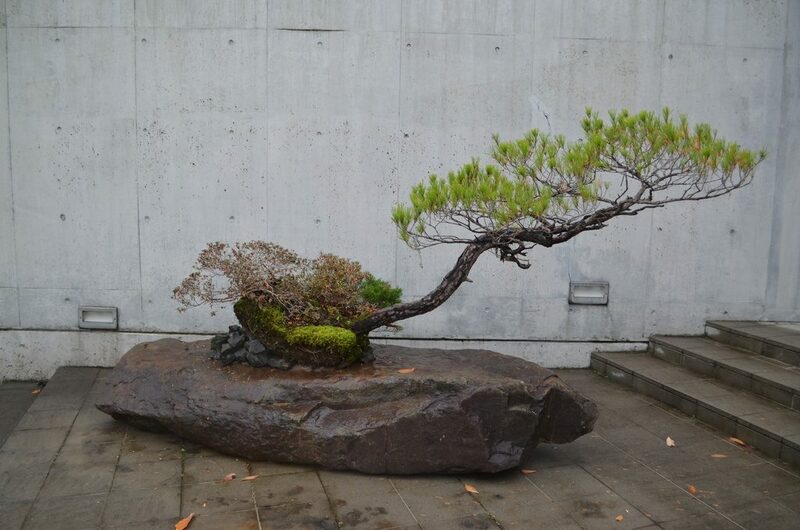 When designing my own bonsai, I try to continue this element of realism into the composition. Let’s look at a few trees and guess their stories. 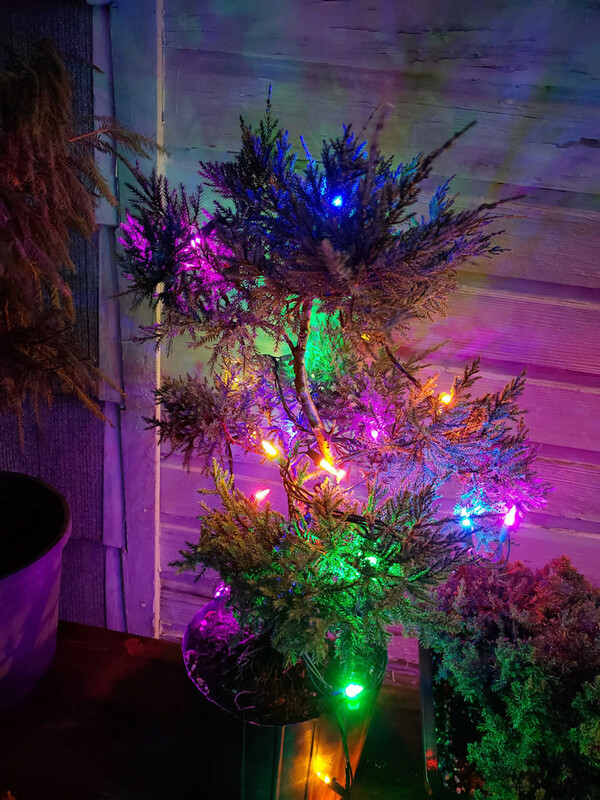 Take this tree, for example. It is easy to imagine that while it was still young another tree fell onto it, knocking it to the ground but not killing it. As the tree recovered, it grew around the fallen trunk and branches and back up towards the sky, ending up with the twisted base and trunk that you see pictured. Eventually, the dead tree that caused all of this rotted away leaving its tale of woe in the victim’s twisted form. The tree also had to fight soil erosion that exposed the roots and threatened desiccation in the harsh environment. In this next example, perhaps this tree was nearly blown over. 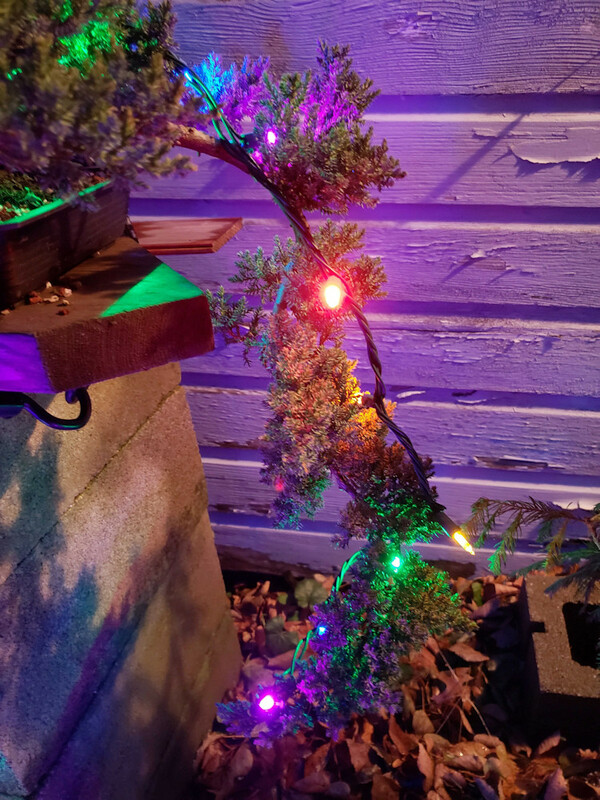 But I think it is more likely that it was growing on the side of a cliff, clutching the rock face for its very life and the elements and gravity pulled down against the upward growth. A rock outcropping above could have forced the strong lean as it reached out for light. In my own backyard I have a similar tree growing beside a creek. Early spring storms flood the creek and erode the bank as the tree slowly falls over the side, held in place only by strong support roots on the other side. This poor, tortured soul looks as if it hasn’t had a pleasant day in its life. 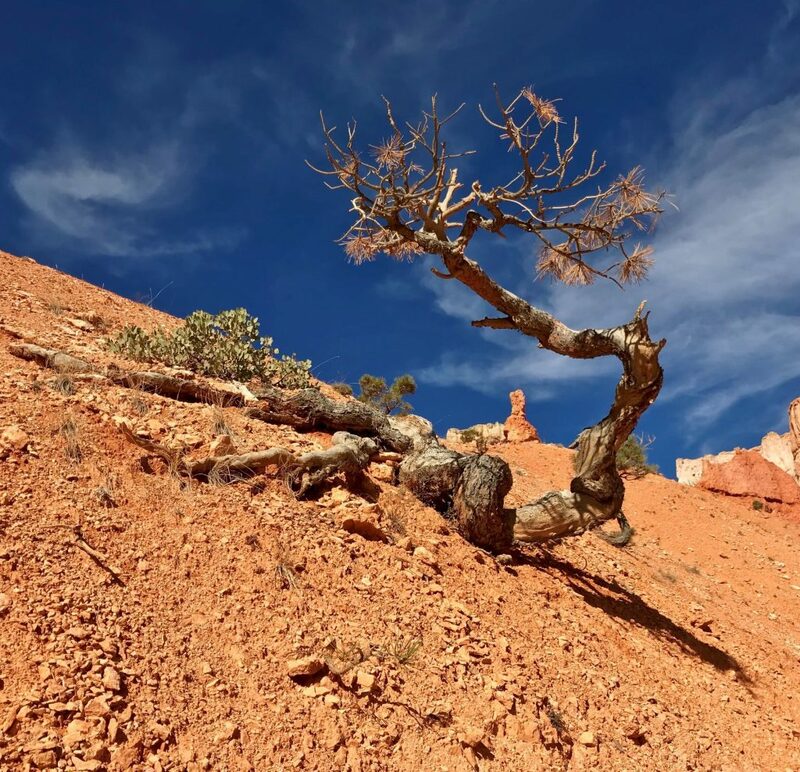 Try as it may to thrive, harsh desert winds beat upon it, blowing sand stripped the bark, falling rocks crushed and deformed, and animals grazed on its branches. You can see where the main trunk snapped, leaving a side branch to take over as the new trunk line. Another branch was not so lucky and remains as a lifeless, bleached appendage. Yet through it all a vein of live growth persevered and managed to survive. Eventually, enough growth was able to make it above animal grazing level to thrive, a head of healthy green to contrast with the gaunt skeleton below. A constant reminder of all that was endured. Even this strong grower was no stranger to the elements. Fate deposited multiple seeds near to each other that took root and the brothers fought each other for decades while harsh storms bent and snapped branches. Eventually, a gale broke the larger of the two nearly in half but it wasn’t enough to kill it. Weakened, it still continued to grow and struggle against the world. 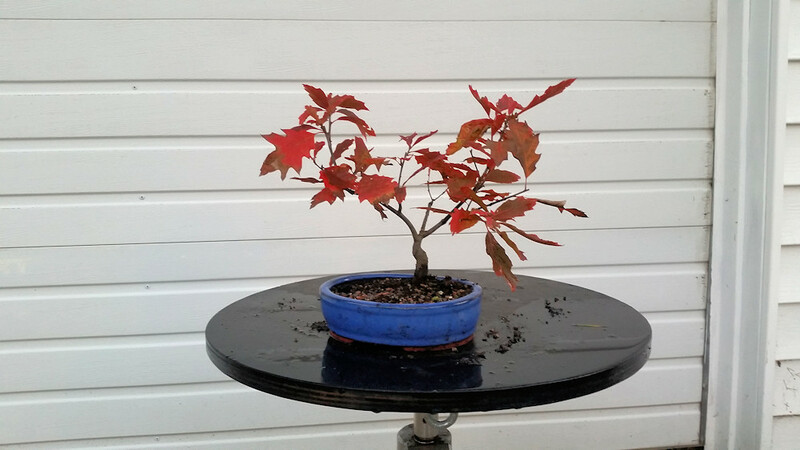 When you look at bonsai trees, whether your own trees or someone else’s, what stories do they tell? 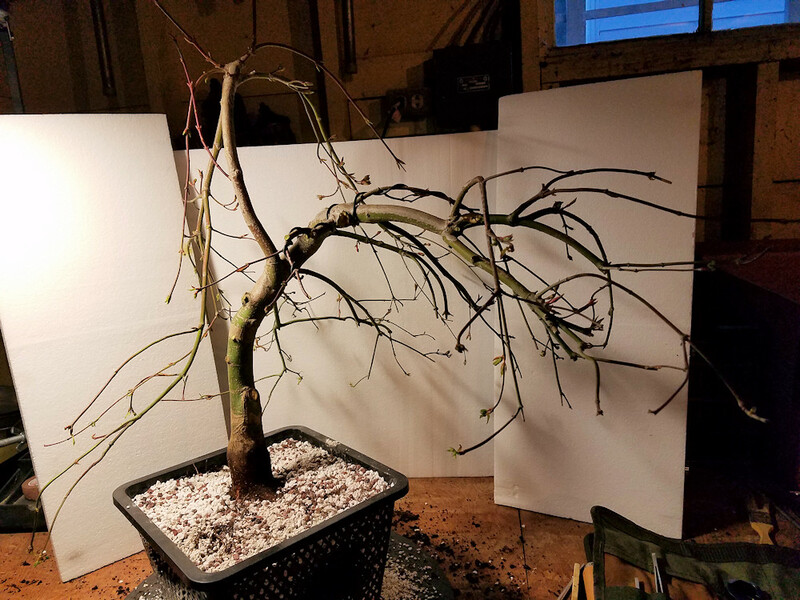 At this year’s bonsai show the Cleveland Bonsai Club is going to have a table dedicated to pre-bonsai to show the various stages of bonsai creation. 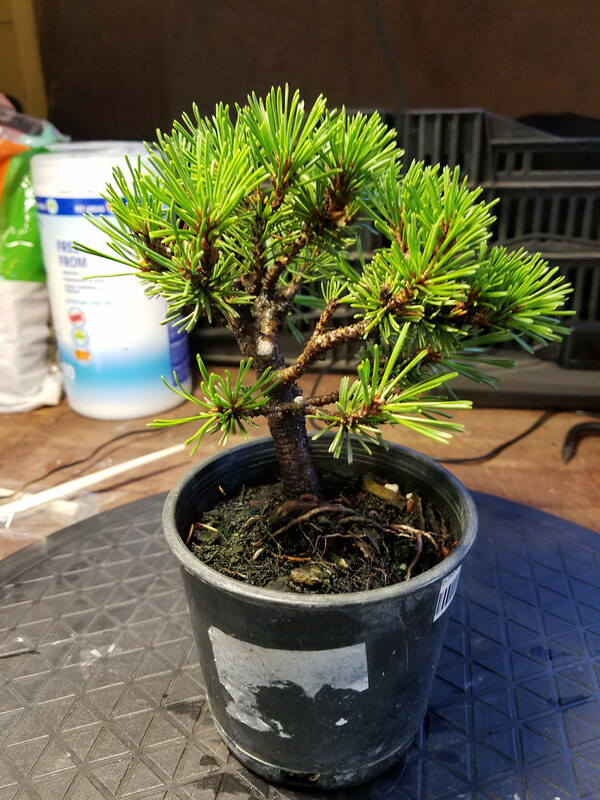 So what is pre-bonsai? 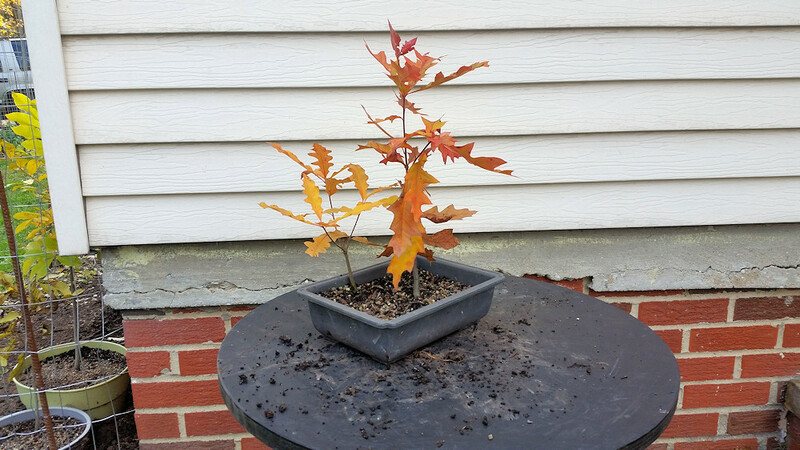 Of course, bonsai don’t just spring up as mature, dwarfed trees. 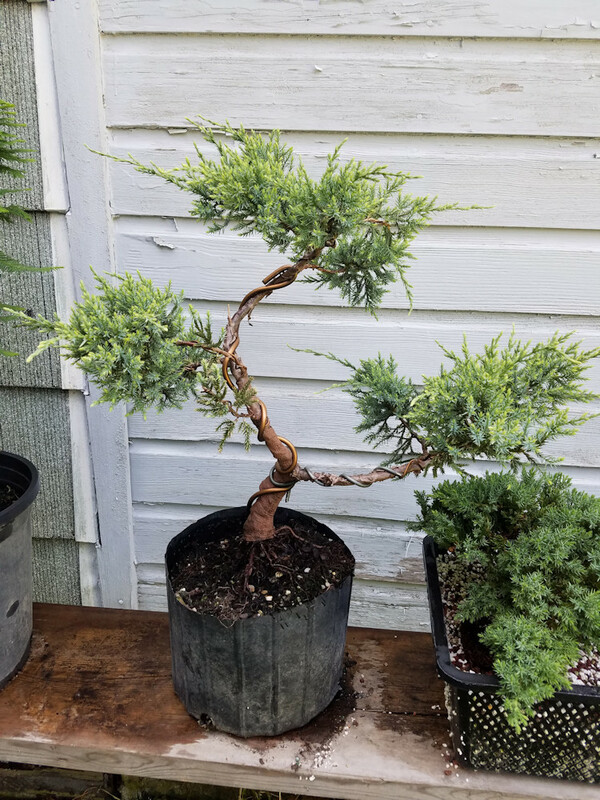 It can take months, years, or even decades for a tree to reach the stage of refinement where it can truly be considered a bonsai. 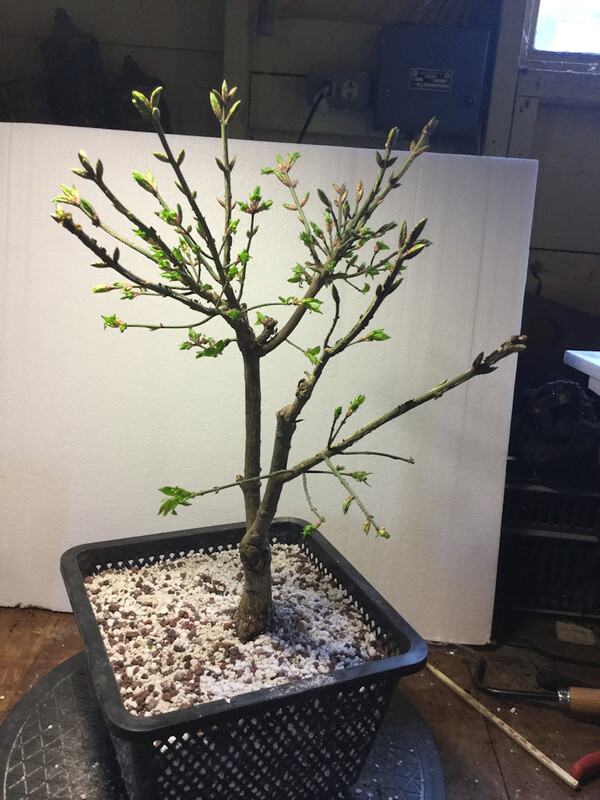 There are basically three ways of reaching the final bonsai stage. 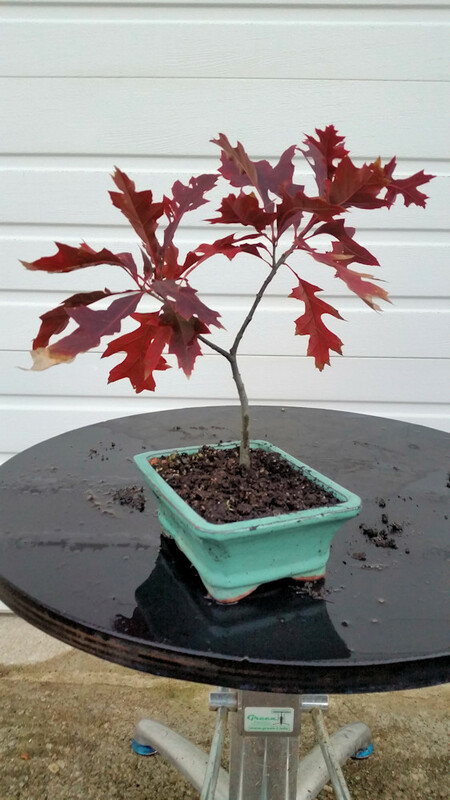 The first is to grow a bonsai from a seed, cutting, or other propagation method. 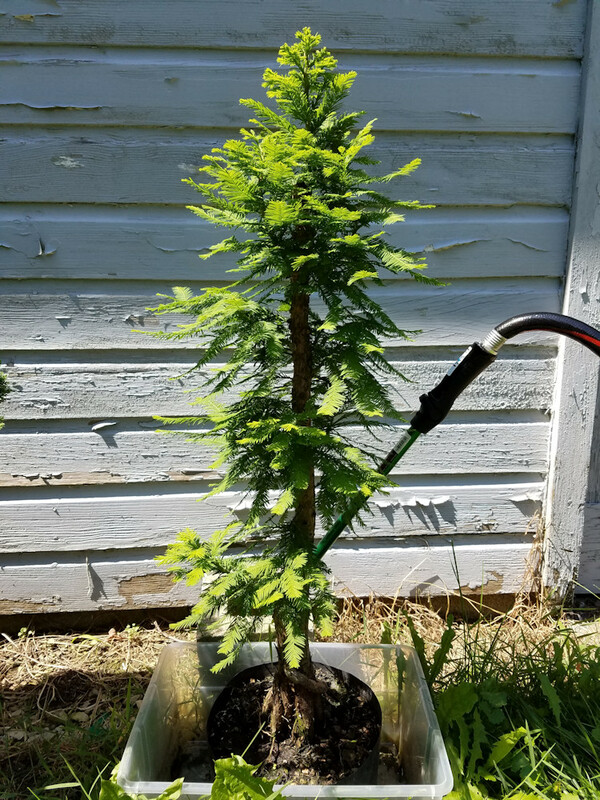 This is the slowest method and can take many decades to have a tree that resembles and ancient, wild tree. 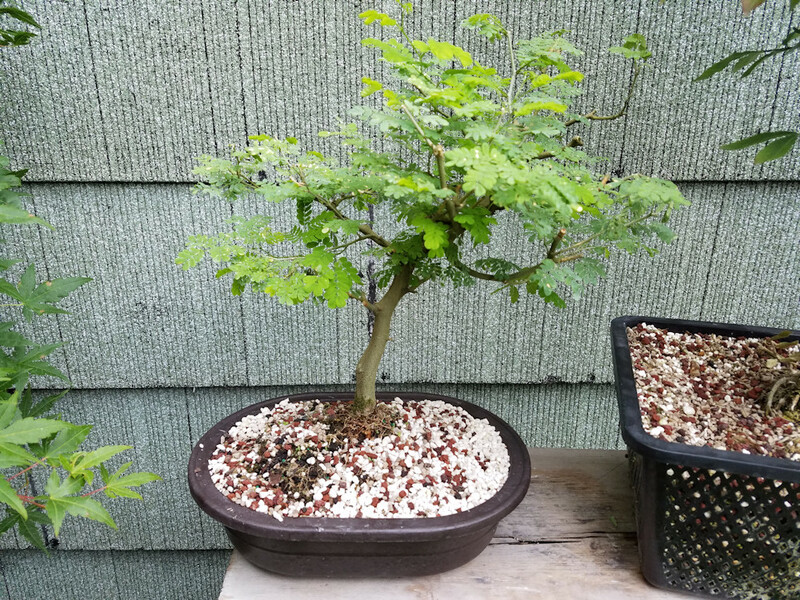 The second method is to collect a tree from the wild that already demonstrates many of the characteristics of a finished bonsai. Such trees may have been dwarfed by harsh climates, poor soil, or physical damage. Even these trees can often require many years to reach the refinement stage. 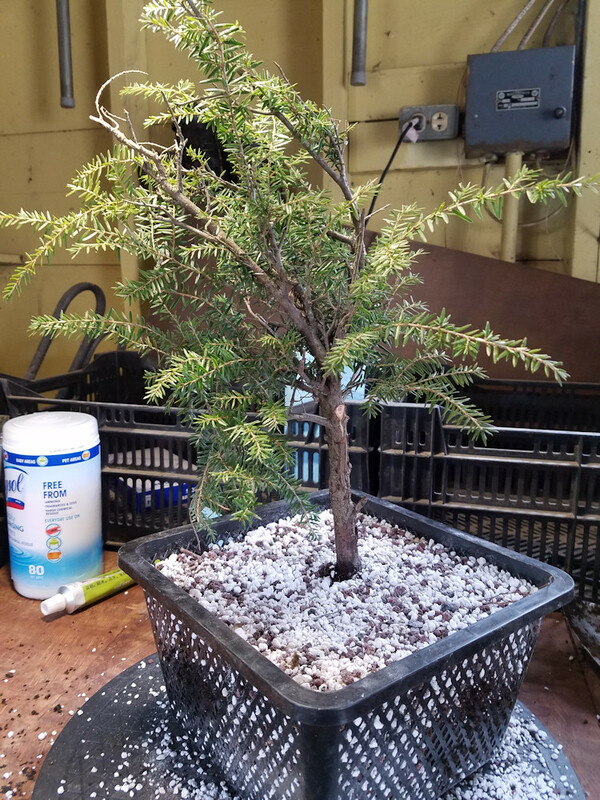 The most common method is to take a tree that has been growing in the landscape or nursery and cut it down into a smaller tree before beginning to refine the design. 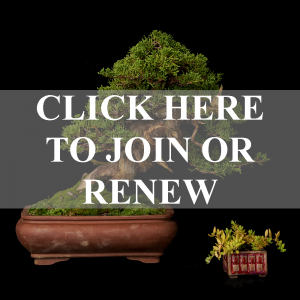 Some bonsai artists shop at the same garden centers as homeowners looking for bonsai candidates. 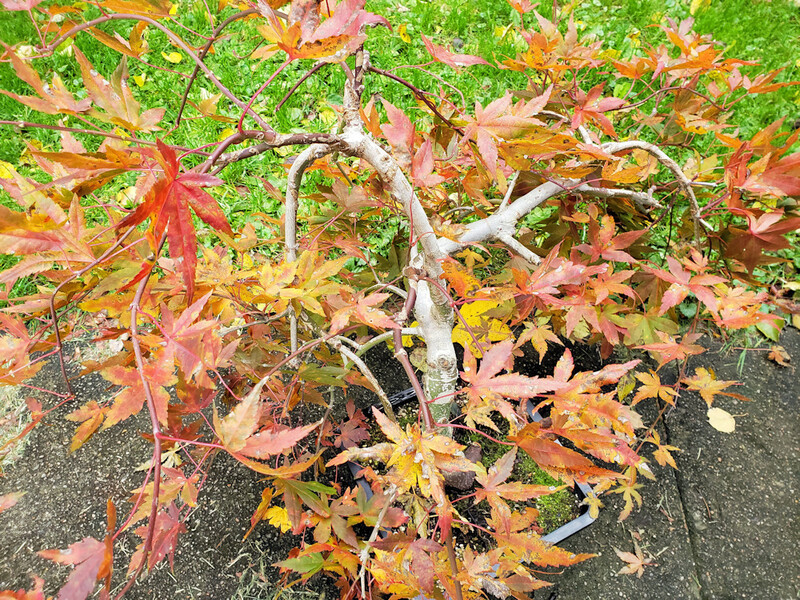 Others shop at nurseries that specialize in producing plants intended to become a bonsai. I’ve mentioned “refinement” several times, so what does that mean? 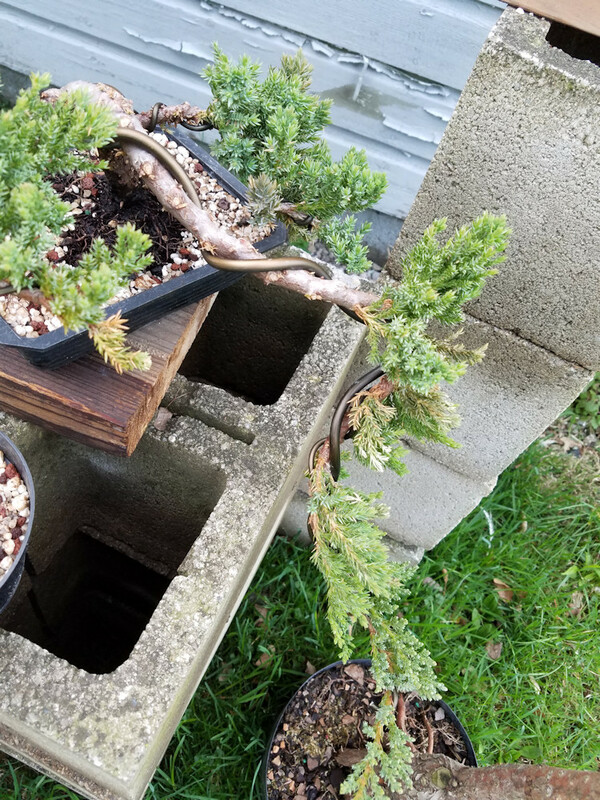 It is extremely rare that even a “wild” bonsai (known as yamadori) are ready to be dug up and put into a bonsai pot as is. 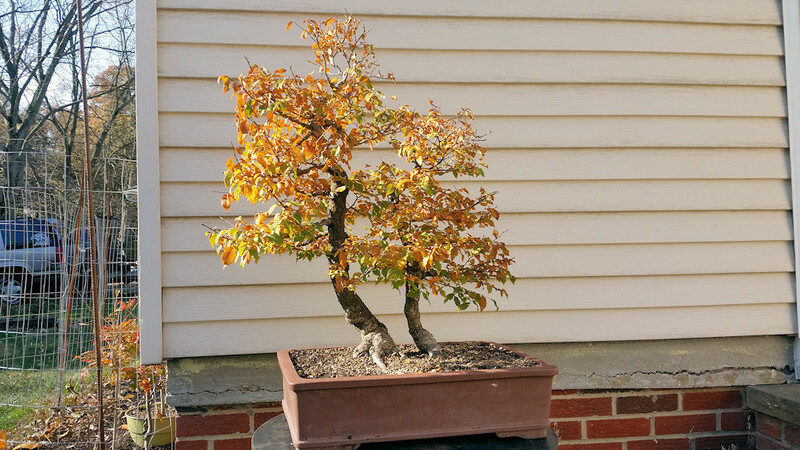 Most of them require additional work to shape into their final form, which is done by selective pruning and/or bending branches using wire. 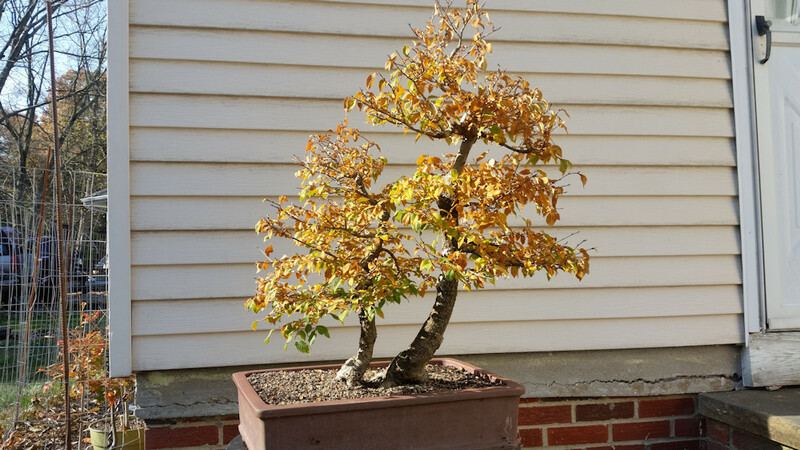 As they grow and make the transition into a final bonsai form they are referred to as being “in training” or in the “pre-bonsai” stage. 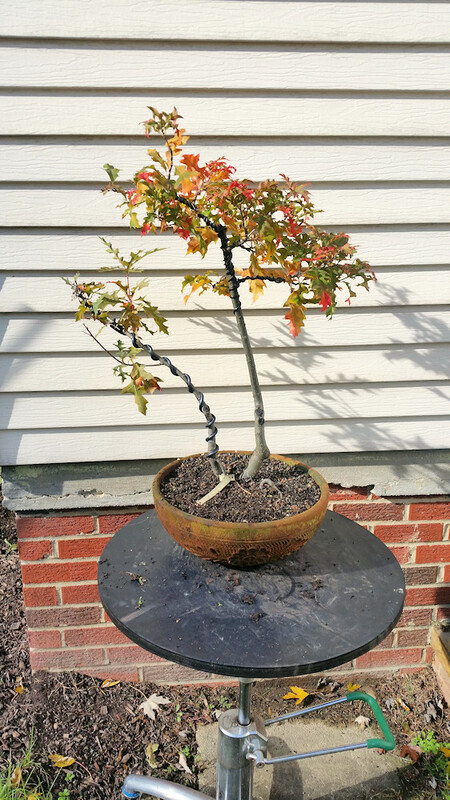 After months, years, or decades the tree will finally begin to resemble the final form the bonsai artist envisions. The tree trunk will have a decent thickness and has taken on an aged appearance. Strong branches will divide into secondary and tertiary branches. 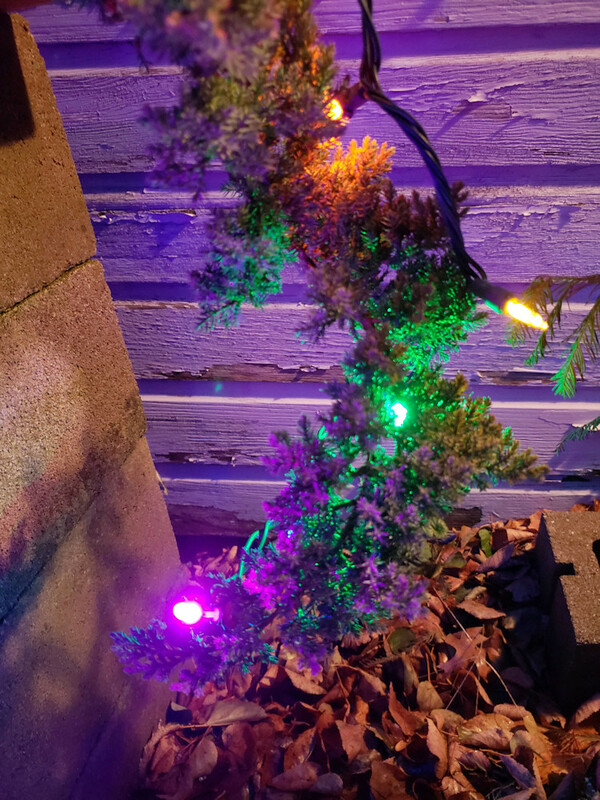 At this point the tree is ready for the design to be refined. Think of it as the finishing touches. Roots, trunk, branches and foliage are all the way the artist has envisioned and the tree is in a bonsai pot, tray, or other planting. 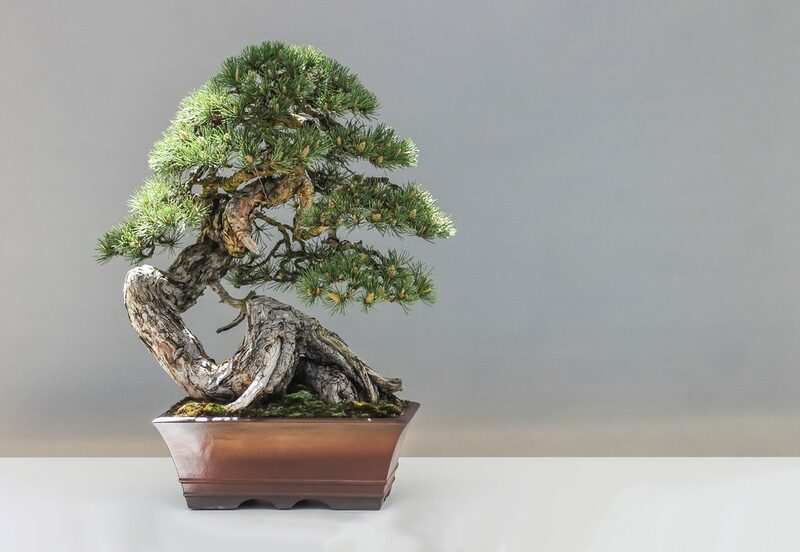 While a bonsai tree is never done growing, and thus never truly “finished,” it is only at this end stage that it can truly be referred to as a bonsai tree. 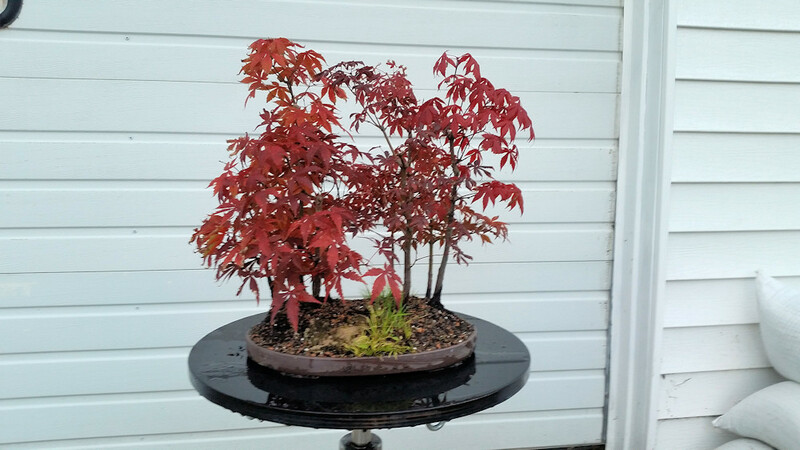 A few of the author’s pre-bonsai trees are shown here.